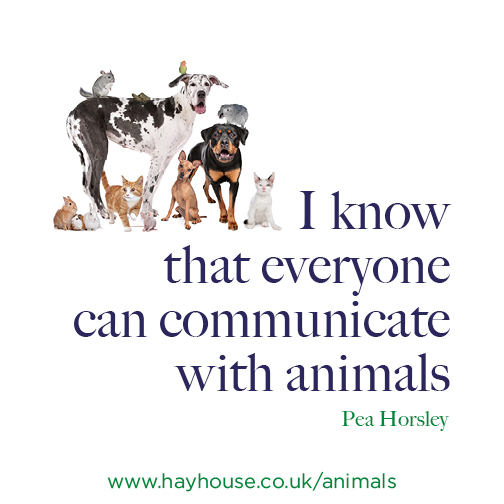 As you might know, there is a new buzz term amongst animal lovers – ‘animal communication’. Animal communication is something to be excited about. It is a non-verbal way of communicating with other animal species. Animals in the wild communicate with each other like this, and this method is how we humans can communicate with a non-human animal too. We are able to understand them beyond reading their body language. This is a two-way conversation where we can ask a question and receive an answer. We can all send and receive information in this way, intentionally – as we want to – rather than waiting for it to happen for us. The animals are able to tell us what they want and need, and offer us guidance and advice too. Do you feel healthy and well? Does your tack feel comfortable? When I can’t be with you, what can I do to help you feel relaxed? What would you feel about the addition of another cat into our home? Did you understand what happened when you were euthanized? Were you ready to go? Did I do it right? Is there anything you want to tell me? Any advice you wish to share? Write down some simple questions you’d like to ask your pet. Think about what would be fun for them! Start with positive questions that will encourage your animal to communicate with you more. Leave the tricky issues until another time when you feel more confident. The best communication happens when both parties wish to communicate, so make sure you and your friend are relaxed and that you have plenty of time and won’t feel rushed. You might find you wish to practice communicating with your pet but they aren’t interested – maybe they’re too busy. Or as my cat Texas tells me, I’m on important cat business! Pick another time that will suit you both better. When you start learning to communicate with animals it can be very hard to accept what you’re receiving. Trust yourself! The proof will be in how your animal changes; are they even more affectionate? Does their health improve? Does the unwanted behaviour resolve itself? Do they appear more relaxed and happier? Are they engaging with you more than before? Put all of your attention on your breathing and use exhalation to relax deeper until you are full present and totally relaxed. Drop your awareness into your heart space and connect with your love for animals. Using your intention, send love from your heart to your animal’s heart, connecting Heart-to-Heart with them. Communicate ‘I love you’ and base all your communication on a foundation of unconditional love, not wanting to dominate or change the animal, but to understand. I was the biggest sceptic at first but I attended an animal communication workshop and found it very helpful. I had been very left-brain, logical and analytical, and I found it hard to trust that communication was really happening. This workshop helped me tune in and trust the impressions I was receiving from animals. These impressions came to me as words, phrases and sometimes I received a sudden knowing. Images would sometimes come as a mental visual, as well as emotions, and later I developed smells and tastes. The most wonderful aspect of this approach is that communication opens people’s hearts and minds to other species as sentient beings. Isn’t that something to shout about? 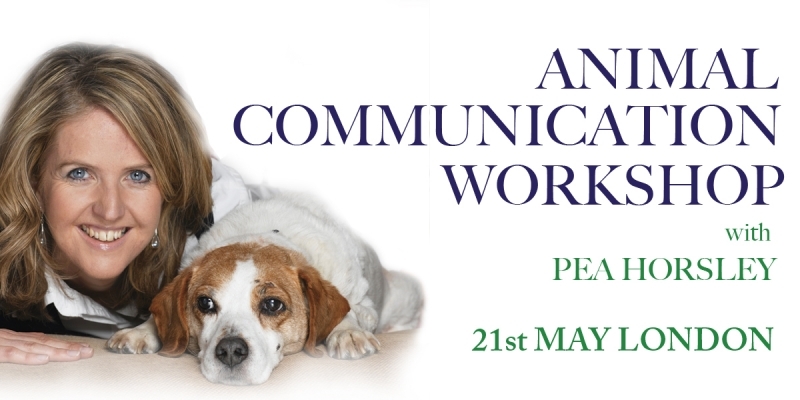 Go deeper into animal communication and join me in London on Saturday 21st May. This deck of 44 oracle cards by Steven Farmer will connect you with animal spirit guides who will advise you about any aspect of your life.